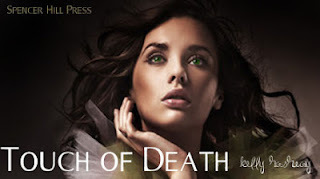 I am pleased to be a part of Kelly Hashway’s blog tour for her YA debut novel, Touch of Death published by Spencer Hill Press and to be released on the 15th January 2013. Today, I will be sharing with you my interview with Kelly. Welcome to Obsession with Books Kelly, Are you able to tell us a little about the Touch of Death trilogy and yourself? Thanks for having me. Well, I write everything from young adult to middle grade to picture books. I’m represented by Lauren Hammond of ADA Management, and Touch of Death is my first novel. 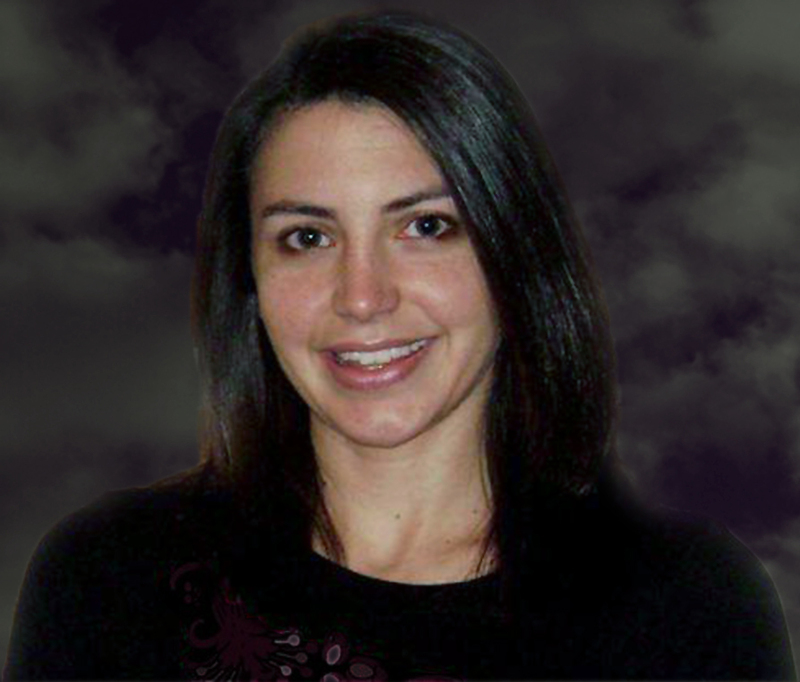 Touch of Death is the story of Jodi Marshall, a descendent of Medusa and a member of a group of necromancers born under the 13th sign of the zodiac, Ophiuchus. She has the power to raise the dead, but her blood is poisonous to humans. She'll have to learn how to use her new powers quickly because Hades is coming for her and the other Ophi. I can remember writing in elementary school. I started with poems and short stories and by middle school I was working on a novel. I’ve always loved books, so it seemed natural for me to write them. I was researching for another book I was writing, and I came across a lesser-known myth about Medusa and the 13th sign of the zodiac, Ophiuchus. As soon I read it, I knew I had to write about characters born under this sign and descended from Medusa, giving them the power to bring the dead back to life or kill with their poisonous blood. I’ve been influenced by great writers like Rick Riordan and Becca Fitzpatrick. I love their books and have learned a lot from reading their series. Did you find a particular character more challenging to write than the others? I’d say Abby was a challenge. She’s pretty evil, but I had to make sure I showed the reader why she’s that way. It’s a tough balance to keep a character evil but also give them justification for their behavior. I get to write for five and a half hours each day when my daughter is at school, and that’s pretty ideal. J But, it really makes my day when I hear from people who have read my books. Nothing makes me smile more. There are almost so many I don’t know which to choose. I’m pretty weird. I can say the alphabet faster backwards than forward. I can hitchhike with my big toe. It’s kind of freaky. (I’ve never really done it, though. I just weird people out with it.) And I’m really obsessive when I have something to do. I’m a total workaholic. Yes, the Percy Jackson series and the Hush, Hush series. I can’t get enough of them and have tons of passages marked so I can reread them. I favor the paranormal genre. I’m currently reading Poltergeeks by Sean Cummings. I have a young adult romance novella called Love All releasing the same day as Touch of Death. I’m also working on another release through Spencer Hill Press in 2014 called The Monster Within. And I have the first book in the Birth of the Phoenix series titled Into the Fire also releasing in 2014 through Month9Books. Which 5 songs would you choose if you had to make a mini playlist to accompany Touch of Death? Thank-you so much Kelly for taking time to talk to us today! I write for children of all ages from picture books up to young adult. I am proudly represented by Lauren Hammond of ADA Management. My debut YA, TOUCH OF DEATH, releases January 15, 2013 through Spencer Hill Press. Also look for my other upcoming YA novels: STALKED BY DEATH (Spencer Hill Press, July 23, 2013), THE MONSTER WITHIN (Spencer Hill Press, April 2014), THE DARKNESS WITHIN (Spencer Hill Press, TBA), and INTO THE FIRE (Month9Books, spring 2014). My debut MG series CURSE OF THE GRANVILLE FORTUNE releases in 2016 through Month9Books. Spencer Hill Press is offering a prize package to ONE winner throughout the Touch of Death tour. Awesome interview, Kelly! My students and I can't wait for the release of TOUCH OF DEATH, and the rest. Karen - thanks for posting the interview.